Airbus plans to further enrich its Premium Economy Seating offering available in the A350 XWB Catalogue, working in partnership with EADS Sogerma. This will result in even more choice for future operators of the A350 XWB family of airliners. 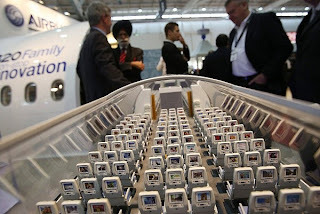 As presented in Hamburg during the “Aircraft Interiors Expo 2013”, EADS-Sogerma, who is an Airbus Contracted Supplier, is optimizing its new ‘Celeste’ seat for the A350 XWB’s wide fuselage. Celeste is an innovative cradle seat which provides premium economy passengers with a high level of comfort at an efficient pitch. Privacy options enhance the passenger experience. 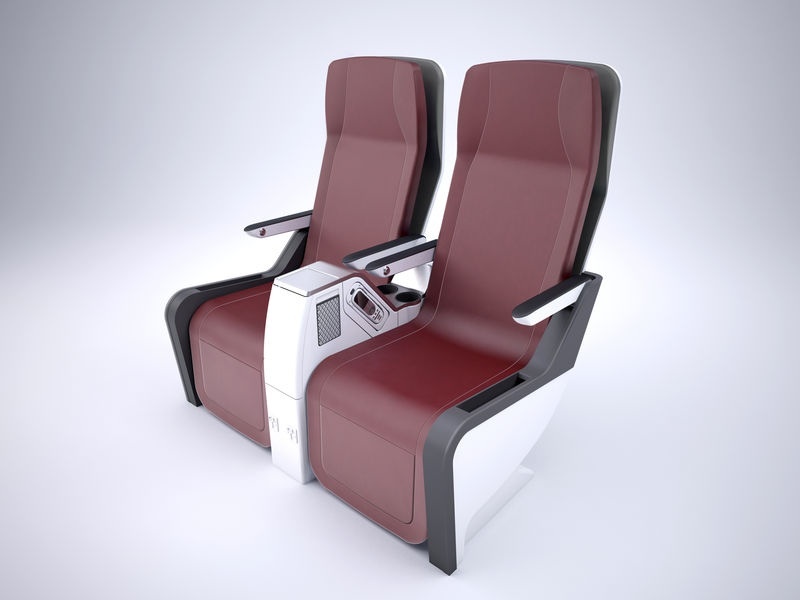 Rochefort (France) based Sogerma joins Zodiac Seats (formerly Weber Aircraft Seats) in enriching the A350 XWB’s Premium Economy Seating offer. Celeste seats have a fixed back shell and slide down into a more relaxed "cradle" position, either by a single electric actuator or gravity-based mechanism. The seat can be angled to 35 degrees, and the seat can be installed with a 38-40in separation between seat rows. Weight has not been finalized for the former, but should be at 20-25kg, says Sogerma. No customers have yet been recruited for the seat, but when they have been ordered, it will take around 18 months until the delivery.